This original soundtrack will kick-off THE WEATHERMAN #1 anticipation with Magic Sword’s song “Colossus”. 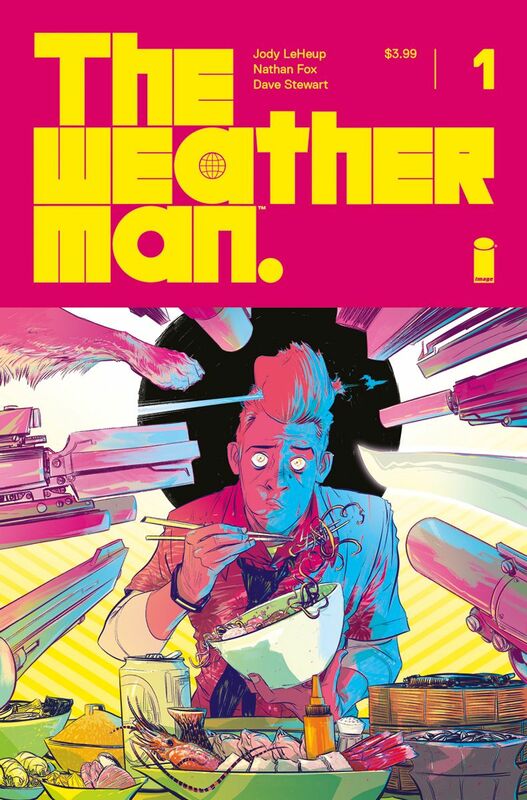 Experience it now at https://soundcloud.com/theweathermansoundtrack. 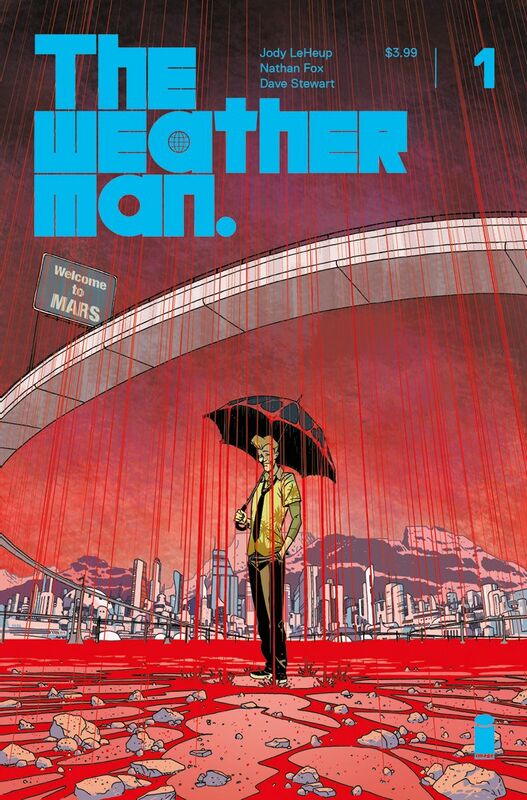 Nathan Bright had it all: an awesome girlfriend, a kickass dog, and a job as the #1 weatherman on terraformed Mars. But when he’s accused of carrying out the worst terrorist attack in human history—an event that wiped out nearly the entire population of Earth—Nathan becomes the most wanted man alive, and a target of a manhunt that spans the galaxy. But is Nathan truly responsible for such a horrific crime? And why can’t he remember? Confused, terrified, and ill prepared for life as the galaxy’s most wanted, Nathan’s fate lies in the hands of Amanda Cross, the disavowed government agent assigned to his case. Together the unlikely duo will have to rely on each other as they battle their way through the solar system in search of the truth buried in Nathan's lost memory...and the key to stopping the real enemy from carrying out a second extinction-level attack. 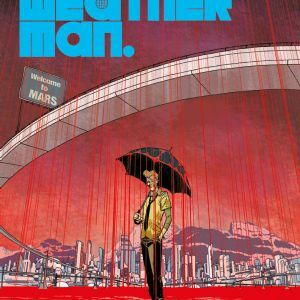 A full-throttle, wide-screen, science fiction epic about the damage we do in the name of justice and what it truly means to be redeemed…fans won’t want to miss THE WEATHERMAN. 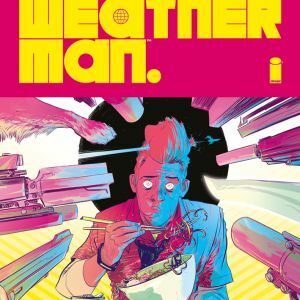 Fans can first listen to MAGIC SWORD's track "COLOSSUS" and pre-order THE WEATHERMAN #1 at their local comic book store. 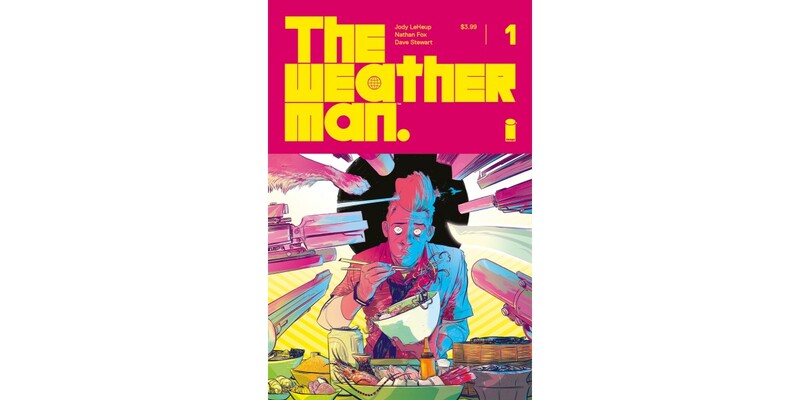 The next song on THE WEATHERMAN soundtrack will release on the same day as issue #1—Wednesday, June 13th. The final order cutoff for comics retailers is Monday, May 21st.